Leaders from seven countries will learn about environmental resource protection at Guana Tolomato Matanzas National Estuarine Research Reserve. 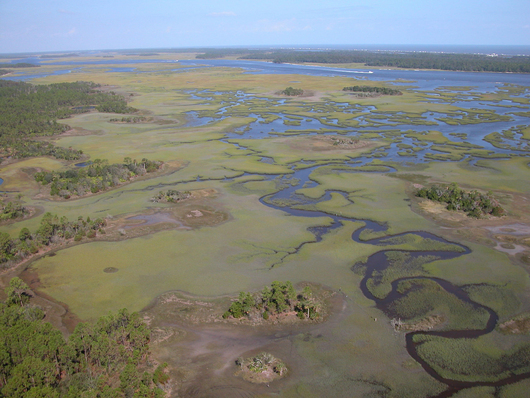 PONTE VEDRA BEACH – The Guana Tolomato Matanzas National Estuarine Research Reserve (GTM NERR) will welcome seven international visitors on Friday, April 27 to learn about oyster reef and freshwater marsh restoration as well as biological monitoring. The visit, coordinated with GlobalJax and sponsored by the U.S. Department of State's International Visitor Leadership Program, features leaders in the field of environmental protection from Grenada, Indonesia, Kenya, Mexico, Romania, Vietnam and Zimbabwe. The participants will network and learn about U.S. conservation programs based at the GTM NERR, one of 28 national estuarine research reserves in the country. GTM NERR staff will conduct field tours of the upland and aquatic components of the Reserve. The event provides an opportunity for staff to share information and learn about what conservation efforts are ongoing in other parts of the globe. The GTM Research Reserve was established as a partnership between the state of Florida and the National Oceanic and Atmospheric Administration. The reserve is one of 28 research reserves operating across the nation and one of three in the state. Coastal and Aquatic Managed Areas (CAMA) manages the (GTM Research Reserve) along with 41 aquatic preserves, the Florida Keys National Marine Sanctuary and the Coral Reef Conservation Program. CAMA’s programs and activities are designed to help Floridians better understand and conserve the state’s resources through research, education and preservation. For more information on the GTM Research Reserve visit www.dep.state.fl.us/coastal/sites/gtm/guana_river.htm or www.gtmnerr.org. For more information on DEP’s Office of Coastal and Aquatic Managed Areas, visit http://www.dep.state.fl.us/coastal.